The purpose of culture is to create the conditions needed for a human being to discover the universal social and physical principles necessary for a fulfilled life that have been handed down by our ancestors, to make their own original discoveries and to pass all of them onto our posterity. Key universal social principles are love, the significance of death through our own mortality, and the necessity of freedom in creating goodness and right action. 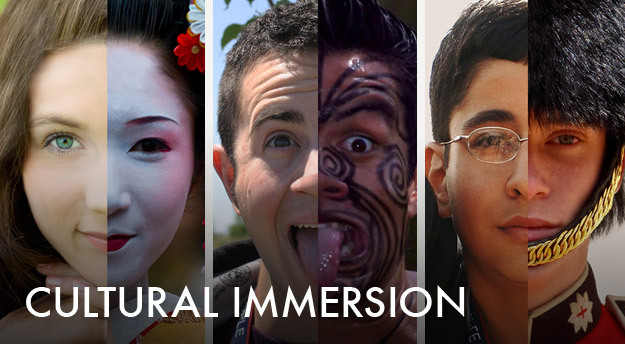 All culture is transmitted through the human voice whether spoken or written and opera is the highest and deepest expression of feelings through vocal expression. No matter how beautiful our statues, monuments and buildings, without the human voice they are mute reminders of their makers and are silent as to their meaning and purpose. The vocal range and melody of the theme to the film "Once Upon a Time in the West" free of lyrics and consisting of varying notes is an example of the deepest expression of the human voice and its capacity to express love, mortality and freedom. "Culture (/ˈkʌltʃər/) is, in the words of E.B. Tylor, "that complex whole which includes knowledge, belief, art, morals, law, custom and any other capabilities and habits acquired by man as a member of society." Cambridge English Dictionary states that culture is, "the way of life, especially the general customs and beliefs, of a particular group of people at a particular time."" The destruction of popular music to a series of a scripted performances, consisting of repeatedly mimed and choreographed routines devoid of originality can be contrasted to the creativity and spontaneity of live singing. 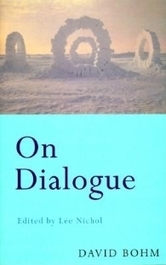 Bohm Dialogue (also known as Bohmian Dialogue or "Dialogue in the Spirit of David Bohm") is a freely-flowing group conversation in which participants attempt to reach a common understanding, experiencing everyone's point of view fully, equally and nonjudgementally. This can lead to new and deeper understanding. The purpose is to solve the communication crises that face society, and indeed the whole of human nature and consciousness. It utilizes a theoretical understanding of the way thoughts relate to universal reality. 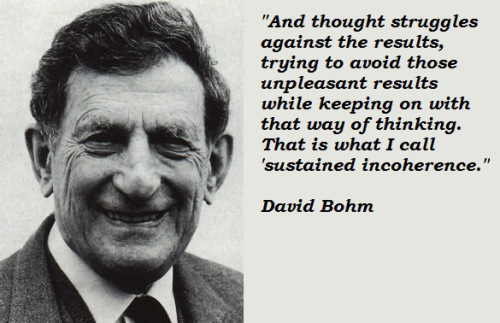 It is named after physicist David Bohm who originally proposed this form of dialogue. "The Agora (/ˈæɡərə/; Ancient Greek: Ἀγορά Agorá) was a central spot in ancient Greek city-states. The literal meaning of the word is "gathering place" or "assembly". The agora was the center of athletic, artistic, spiritual and political life of the city. 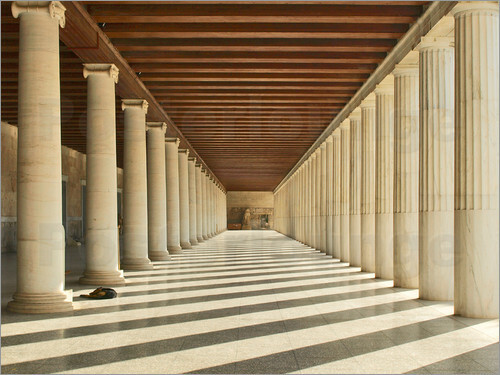 The Ancient Agora of Athens was the best-known example."